Canopy Tent, also known as POP-Up-tent, Promotional Tent, Demo-Tent, Easy-up-Tent, Marketing Tent, Advertising canopy OR foldable Tent, is widely in demand for remote outdoor promotional and marketing activities. These are easy to install and fold, light weight and very convenient to carry. One can carry this on their bike to any remote place, do the day long promotional activity and return back in the evening without anybody’s help. 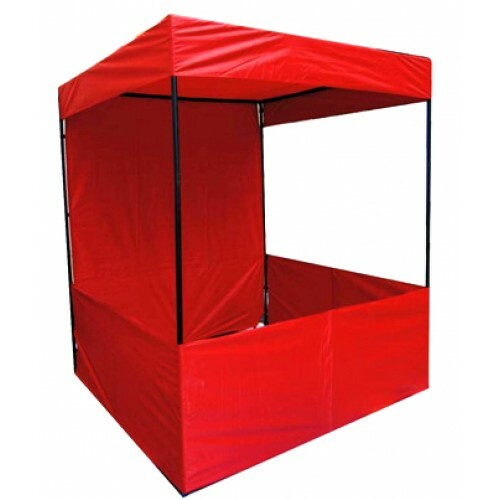 Here, at hire4event Merchandise we manufacture Promotional tents in different shapes and sizes. Premium quality frame and fabric were used to ascertain maximum durability of the product. Customized design and logo printing facility is available as per customer specific requirements. Along with this, fastest delivery anywhere within India is guaranteed.